Looking at the list, we realised that we could only afford the Proton and if we wanted a better car, we would have to increase our budget. After driving a Volvo S40 in the UK for several years, we were not really looking forward to driving a Proton. 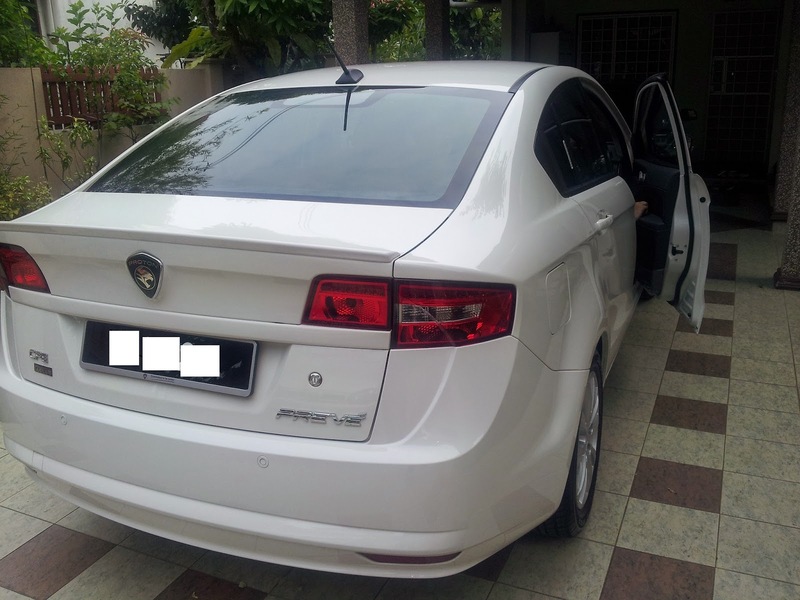 However, the more research I did about the Proton Preve, the more impressed I was with the model. We went to see it at the Proton showroom near our house in Taman Megah, PJ and we decided that the Proton Preve Premium version was what we wanted. However, it was still beyond our budget at around RM72K (approx. £13650). We were very fortunate because Proton suddenly announced a Merdeka/ Hari Raya discount of 5% across their complete range of models. 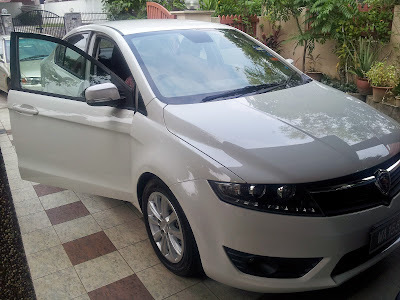 This suddenly brought the Proton Preve Premium version within our range at around RM68,000 (solid colours) and really great value as it has loads of features not present in the basic Honda, Toyota and Nissan models. This includes a Turbo engine, touch screen with built-in sat-nav, 6 air bags, push button start, automatic lights and wipers, etc.. The offer also included 3 years free service and range of gifts including free in-car wifi hub with access for a year, free SmartTAG, full tank fuel, etc. So that's the story in brief about how my wife ended up with a Proton Preve 1.6 CFE CVT Premium car powered by the Campro CFE 1561cc turbo engine with 7 speed ProTronic transmission and mounted on great looking 17" alloy wheels with 215/45 R17 tyres. Watch out for a more detailed review of the car later.